Zach Benjamin during a visit to Arizona's campus. Benjamin is a 6-foot-4 receiver who recently decided to transfer to UA from South Florida, where he spent the last two years. After departures from last year's team, the Arizona knew it would need to add some height to its receiver corps. Sunday, the Wildcats added another tall piece — South Florida's Zach Benjamin announced he would transfer to Arizona on social media, posting messages to both Instagram and Twitter. Benjamin is listed at 6-foot-4 and 190 pounds, and comes to the Wildcats after redshirting his freshman 2014 season and not seeing the field at all in 2015. It's likely that Benjamin will have to sit out a season due to transfer rules, although it's unclear if Arizona will try and push for Benjamin to be eligible right away after not playing at all last season. He played high school football at Tampa Catholic in Tampa Bay, Florida, which falls into safeties coach Jahmile Addae's recruiting territory. Coming out of high school, Scout.com had him as a two-star recruit with offers from Air Force, Arkansas State, Bowling Green, Colgate, Massachusetts, Ohio, Toledo and Western Kentucky. Arizona doesn't appear to be slowing down with its 2017 recruiting class. Arizona to be featured at satellite camp. An Arizona target decommits from UCLA. How does Arizona's talent stack up in 2016? The Wildcats are excluded from a prominent website's ranking of the top 100 players in college football. 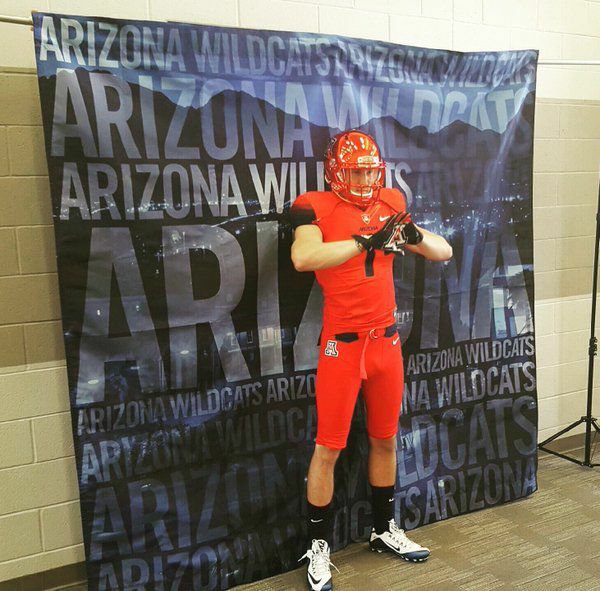 Recruiting: Will QB Braxton Burmeister recommit to Arizona soon? Ex-UA commit might be reconsidering. Part 1 of our series of post-spring Q&As with the conference's coaches.